You have looked forever for the perfect barn door style, and now are ready to close the deal. Or…. maybe you are almost ready, but just want a little bit more information before you make the commitment. Either way, I know a lot of research and time goes into making a decision like this. So, I have hunted down the highest quality products at the most affordable prices. If you need any help or have any questions, shoot me a comment. I’ll try to assist you any way I can. 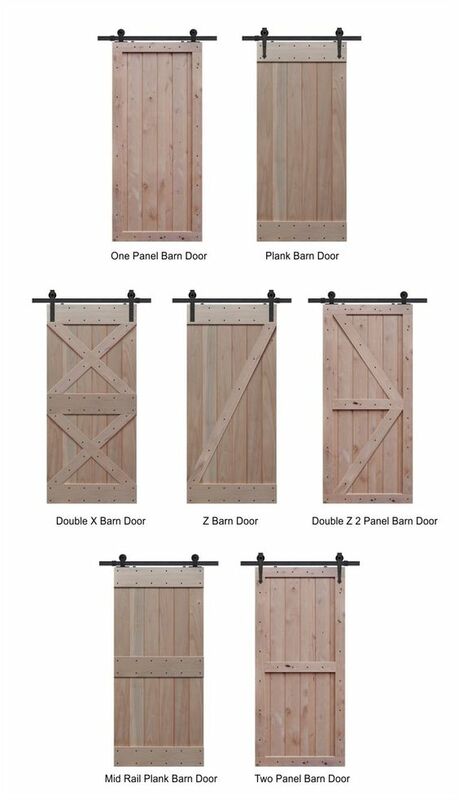 So, here are my picks for the best barn doors to help you get the look you’re going for. 28 Incredible Barn Doors: Get The Look. If you are joining in from 55 Incredible Barn Door Ideas: Not Just For Farmhouse Style, welcome. I’m so happy you’re here! I wanted to start off this post with a couple of pictures from the barn doors that we have in our home. Our doors were custom made due to the irregular sizes of our openings and due to availability (or lack of, I should say). There was zero availability during Hurricane Harvey …. (when we flooded). And since we added the craftman style trim around all of our doorways and windows – we created irregular-sized openings So, needless to say – custom it was!! We have a double barn door set in our office/piano room (entry) and a single barn door in our master bedroom opening to our master bath. I absolutely love them & highly recommend them. Let’s Get to the Styles!! If you’re ready for shopping options, see below. Click on the link or picture to learn more. This is the hardware that I used for both of my barn doors (single – 6.6 ft. and double -10 ft. doors), and I love them. The guys who installed the double office doors had to cut down the rails (for custom sizing), but they work great. The handles are very nice and heavy, and look stunning. I used brushed nickel/stainless for mine, but the black are beautiful also. TIP – make sure to read carefully for sliding door hardware for single or double doors and door sizes (EX: one 48″w SINGLE door VERSUS two DOUBLE 24″w doors = 48″W). It gets very confusing, so just triple check yourself!! If you need help with anything, or a link is broken….please let me know! I’m here to help! Want more barn door inspiration try 55 Incredible Barn Door Ideas or follow me on pinterest barn door love.